I got this gorgeous bottle of polish from I.A.M. CustomColor at the Cocktails&Colors event in my grab bag and I wanted to share some details about it. I talked to Ashlie, the owner of the brand the event and she was SO sweet!! She had the cutest little display and everything was peacock themed, up to her hair! So adorable! I totalled missed to take any pictures of her display, but it was super cute and I loved all the stuff she had on show. As the name suggests, she does a lot of custom polishes which is super cool, but she also has her own core line of polishes which are really pretty! One of these is a polish I have to show you today. 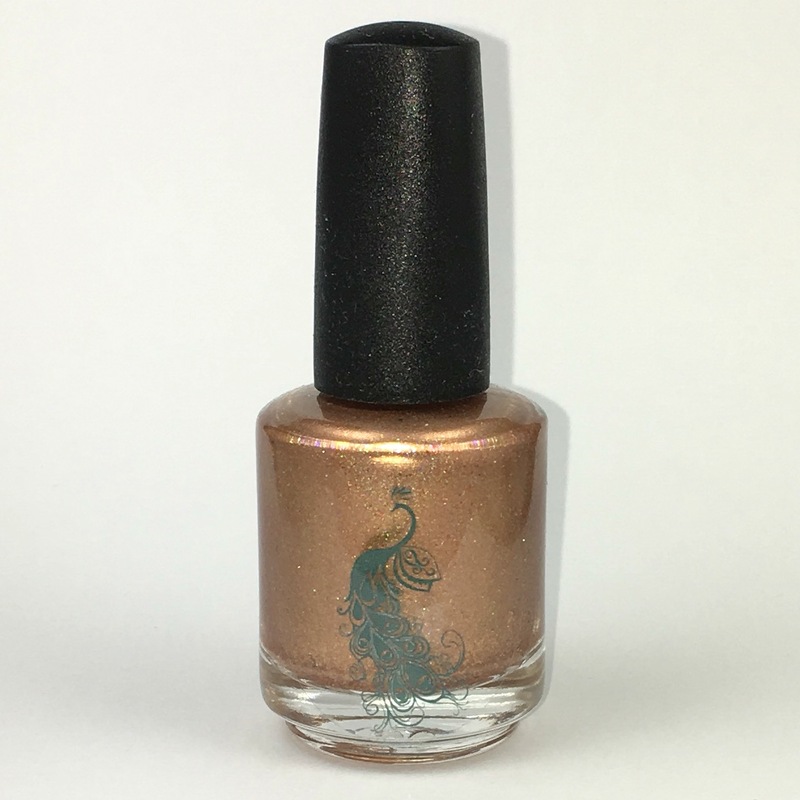 This is Sorya, which is a gorgeous rose gold holo with flakies! 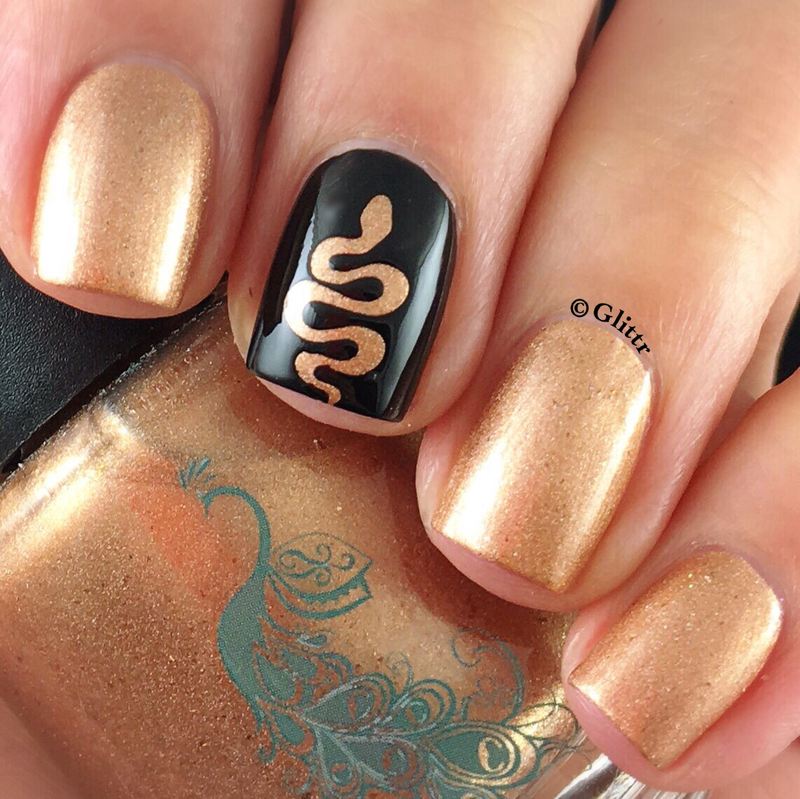 I chose to do an accent with this snake vinyls from WhatsUpNails and I love the look of this! Go and check out I.A.M. Custom Color for some awesome polishes!